Paracord Solutions is not just a job to Troy Teixeira. For him it is a creative outlet that allows him to be his own boss. Just over a year ago, Troy was working as an experienced Microsoft systems engineer. Now he engineers quality paracord dog collars and leashes full time. "I found that crafting with paracord was peaceful, and it challenged me in a way that was enjoyable and fulfilling." he says. I found that crafting with paracord was peaceful, and it challenged me in a way that was enjoyable and fulfilling." "Starting my own business crafting with paracord was more of an accident than a plan," Troy admits. 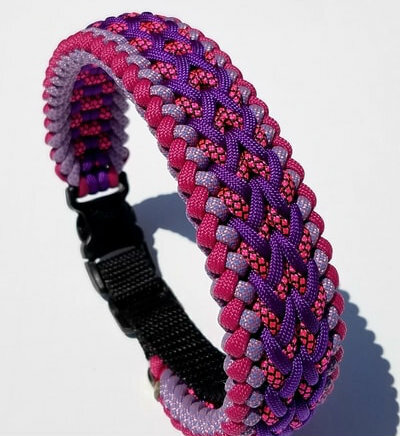 He had known about paracord for many years, but last year on a camping trip, he rediscovered it as a useful crafting material. "When I got home," He says, "I wanted to purchase some more. At the time, I was becoming really depressed after leaving my high paying job and I needed something to do. "I pulled up some YouTube videos and watched some tutorials on how to make bracelets. From there, it snowballed into my purchasing thousands of feet of paracord at a time and weaving around the clock." 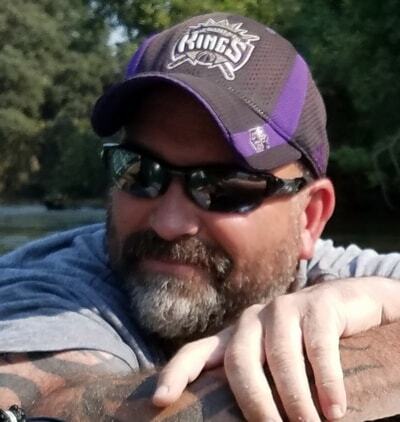 In his spare time, the California man loves to go camping and kayaking. Though he admits he's not opposed to a night relaxing in front of the TV watching movies. "I enjoy peace and quiet more than anything," Troy says. This desire for a more relaxed pace in life is part of what caused Troy to leave the information technology industry in the first place. "In the densely populated [San Francisco] Bay Area, traffic and commuting has become a total nightmare," he says, "and spending 5-6 hours roundtrip travel daily in my vehicle, only to spend another 8 hours working at my job, was unbearable." Troy enjoys the freedom of working for himself. "I decided when I left information technology that I would never work for another boss again and that I would be my own boss. There are too many jerks out there who take advantage of hard-working folks." Troy hasn't had to rely heavily on advertising. Much of his reputation has been built on word of mouth. "I've just run with the success and popularity of my work," He says, "always hoping my craftsmanship, attention to detail, and unique taste in color combos and patterns will outshine most of the competition." 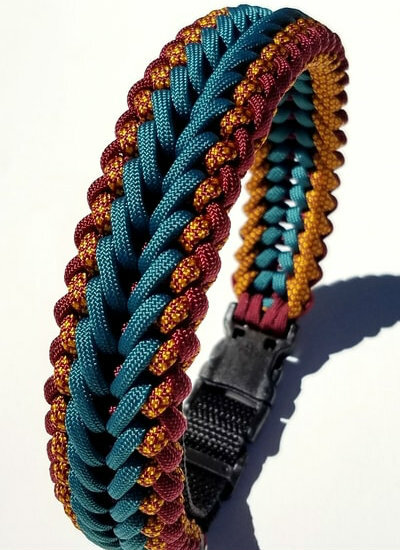 "I think what makes Paracord Solutions unique," Troy continues, "is the fact that I have chosen to specialize in dog collars and leashes, while offering the option of custom ordering other products. "I produce high-quality dog leashes and collars at nearly half the price of most competitors… while ensuring the quality of every product is identical." He warns buyers of being too quick to purchase seller-proclaimed premium goods. "Just because something has a high price, doesn't mean the quality is there," he says, "Make sure you see nice close-up photos from different angles to ensure all of the work looks good." 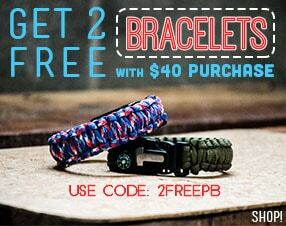 I only purchase from Paracord Planet." "I only purchase from Paracord Planet. I feel they have an exceptional product, while having stellar customer service." He says, "not only do they have one of the largest selections available, but I think their website and purchasing options far exceed all options I've seen on the internet." Troy has an eye for detail that is evident in his work. "What motivates me to create is the challenge of making all of my work look as symmetrically perfect as if a machine had made it," he says. But quality and creativity aren't Troy's only goals with Paracord Solutions. He says, "I enjoy putting smiles on people's faces and helping others learn the craft of paracording." 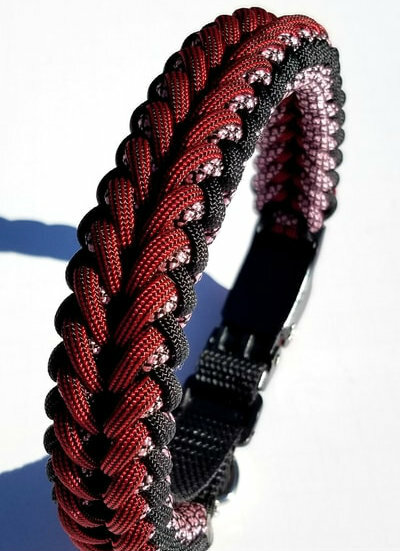 If you live anywhere in the U.S. and want a custom paracord dog collar or leash, contact Troy! "I will ship anywhere in the United States and currently ship a lot of work to Alaska," he says. To contact Troy Teixeira or to see more of his work, visit apexcollars.com and facebook.com/apexcollars, or email him at troy@apexcollars.com. 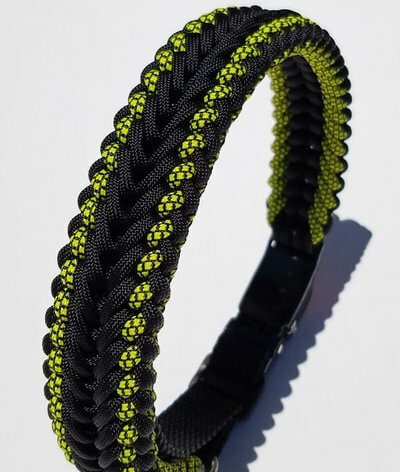 Do you run a paracord business? Why do you do it? What have been some of your challenges along the way? Let us know in the comments! Remember, commenting could win you 100 ft. of paracord! Last week, Isabel and Angela each won 100 ft. of 550 cord. 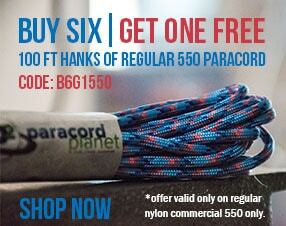 This week we are giving away 95 paracord, which is great for embelishing paracord bracelets or dog collars! Do you want to hear more stories like this? Subscribe to our newsletter! and Follow us on Facebook.